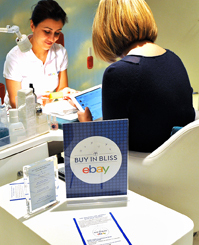 Should states require online retailers to collect sales taxes? Online retail shopping has grown fourfold since 2002 and now accounts for about 10 percent of discretionary retail spending in the United States. But whether that growth trend continues could depend, in part, on whether Congress allows states to require all e-retailers to collect state and local sales taxes. Currently, only online shopping sites with a physical presence in a state must collect the levies. Some shoppers may refocus their buying on brick-and-mortar stores if buying online no longer offers a tax advantage. Meanwhile, polls show growing concerns about privacy among online shoppers. Marketers routinely collect detailed information about shoppers' habits, preferences, purchases, age and gender in order to send them targeted advertisements and special offers. Smartphones and tablets even allow marketers to know the exact location of shoppers and send them targeted ads as they pass by particular stores.